Top Rated Local® is pleased to announce that Create Catering & The Dining Studio is a 2019 award winner for catering companies in Minnesota! The food can make or break an event, and when you want your event to wow your guests, there’s no better catering company to turn to in Minneapolis than Create Catering & The Dining Studio. Create Catering & The Dining Studio has received dozens of reviews on four verified sites with an average rating of 4.85 stars, earning them a fantastic Rating Score™ of 96.45 and a 2019 Top Rated Local award for ranking among the top 10 catering companies in all of Minnesota! “I had my wedding at Create’s Dining Studio. Not enough good things can be said about their food, staff and location. [They were] extremely helpful and flexible with schedules throughout the whole process. Not to mention, their food was extraordinary. I received so many compliments from my guests on the food and venue.” – Stephanie C.
We wanted to learn a little more about Create Catering & The Dining Studio and their outstanding online reputation, so we took a few minutes to talk with the owner, Philip Dorwart. The first question we had for Philip was what is it that sets Create Catering & The Dining Studio apart from their competition in Minnesota. He told us that they do everything from scratch — they customize everything for the client — and that they write up menus for each individual event after having a consultation with the client. They handle any size of event, from small to large. We also wanted to know what their mission is at Create Catering & The Dining Studio and how they work to make the world a better place. Philip shared with us that they support 52 charities per year, and that they use sustainable produce, source local food as much as possible and compost. Philip attributes Create Catering & The Dining Studio’s strong online reputation to their commitment to hard work, customer service and excellent food, which gives them the confidence to encourage their customers to write reviews. Outside of building a powerful online reputation, Create Catering & The Dining Studio has gotten their name out there through Instagram and targeting advertising. Congratulations to the team at Create Catering & The Dining Studio for being a 2019 Top Rated Local award winner, and thank you so much, Philip, for taking the time to speak with us! We highly recommend Create Catering & The Dining Studio in Minneapolis. Visit their website today! 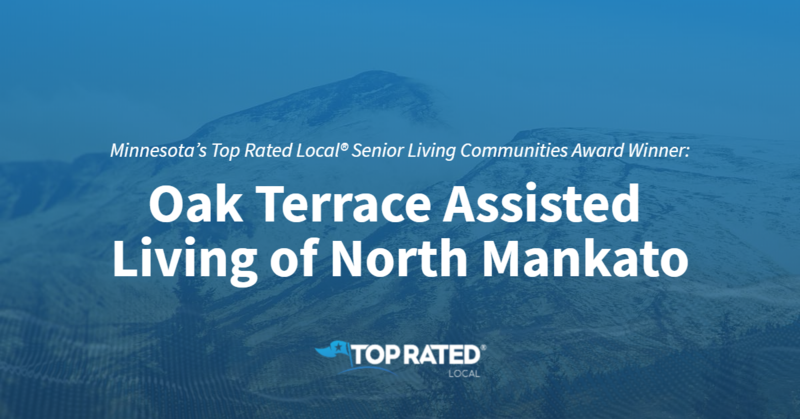 Top Rated Local® is pleased to announce that Oak Terrace Assisted Living of North Mankato is a 2019 award winner for senior living communities in Minnesota! If you’re looking for the right assisted living for yourself or a loved one in North Mankato, look no further than Oak Terrace Assisted Living. Oak Terrace Assisted Living of North Mankato has received dozens of reviews on multiple verified sites with an average rating of 4.63 stars, earning them an out-of-this-world Rating Score™ of 91.30 and a 2019 Top Rated Local award for ranking among the top 10 senior living communities in all of Minnesota! “We are so thankful for Oak Terrace and their commitment to know and prioritize each resident!!!! Oak Terrace is the last family-owned and locally owned assisted living community in the Mankato area. The owners and staff care about every resident, and it eases family members’ minds knowing that Oak Terrace prioritizes having excellent staffing levels to meet the needs of every resident. It is evident in their atmosphere that they truly focus on serving and providing individualized care for every resident. We love that they provide independence and activities (if wanted) for independent living residents, as well as high levels of support for serving the needs of those in hospice.” – Melinda D.
In order to learn a little more about Oak Terrace Assisted Living of North Mankato and their stand-out online reputation, we took a few minutes to talk with the Administrator, Drew Hood. The first question we had for Drew was what sets Oak Terrace Assisted Living of North Makato apart from their competition in Minnesota. Drew told us that they are the last family-owned assisted living community business in the area! Because they are family-owned and -operated, they make their own policies and are incredibly flexible. Drew went on to tell us that their high-quality staff always strives to provide good care. When we asked Drew what their secret to such a strong online reputation is at Oak Terrace Assisted Living of Mankato, he told us that they take great care of their residents and treat their employees with respect. They don’t concentrate as much on their reputation online but more so on how their business operates and how well they treat people, and it shows through online. Outside of building a powerful online reputation, Oak Terrace Assisted Living of North Mankato has spread the word about who they are and what they do through a new ad they recently put up at the local mall; however, he said that their main focus is on keeping their building in great shape and their staff well equipped and trained in order to provide good care for their residents. Congratulations to the team at Oak Terrace Assisted Living of North Mankato for being a 2019 Top Rated Local award winner, and thank you so much, Drew, for taking the time to speak with us! We highly recommend Oak Terrace Assisted Living of North Mankato. Visit their website today! 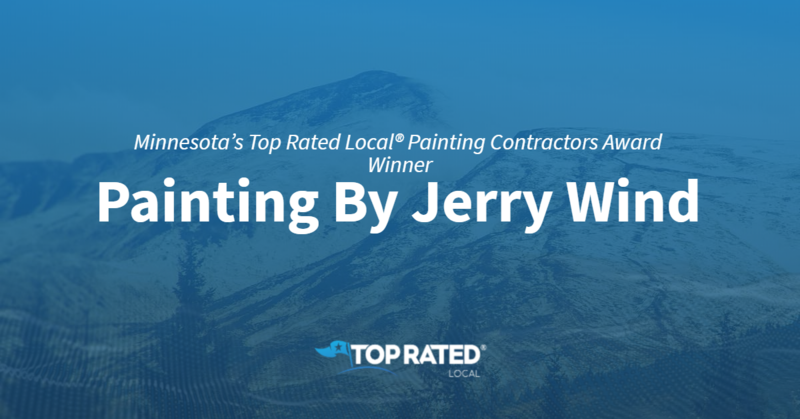 Top Rated Local® is pleased to announce that A Step Up Window Cleaning LLC is the number one window cleaner in Minnesota for 2019! 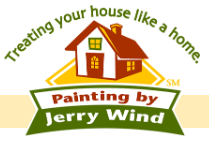 Make the exterior of your home look as good as new with window cleaning, gutter cleaning, roof cleaning and house washing from A Step Up Window Cleaning LLC in Lakeville. A Step Up Window Cleaning LLC has received more than 100 reviews on three verified sites with an average rating of 4.86 stars, earning them a tremendous Rating Score™ of 94.59 and a 2019 Top Rated Local award for ranking among the top 10 window cleaners in all of Minnesota! “I hire A Step Up Window Cleaning to come clean the interior and exterior of my windows twice a year — once in the spring and once in the fall. I have been doing this for several years now. They have yet to let me down on any aspect of their service! They are punctual, efficient, professional and very reasonably priced. I would highly recommend A Step Up Window Cleaning to anyone!” – Julie L.
Thomas Mcarthur, the owner of A Step Up Window Cleaning, generously gave us a few minutes of his time to tell us about his one-of-a-kind business and its stand-out online reputation. The first question we had for Thomas was what sets A Step Up Window Cleaning apart from their competition in Minnesota. Thomas told us that they’ve been in business for 10 years now that utilizes pure water technology, eliminating any residue or soft wash damage. Thomas went on to tell us that customer service is the best and only way to truly differentiate themselves from the many other window cleaners they are competing with. Thomas attributes A Step Up Window Cleaning’s strong online reputation to their focus on being a customer service company that happens to also wash siding and clean windows. Thomas told us that they also ask their clients for reviews. Not only has the focus on customer service led to a powerful online reputation, but it’s also led to referrals. A Step Up Window Cleaning also spread the word about who they are and what they do through their website. There are so many business owners looking to build the kind of online reputation A Step Up Window Cleaning has. When we asked what advice he has for them, Thomas emphasized the importance of asking clients for feedback, even if you are feeling hesitant about asking for a review. 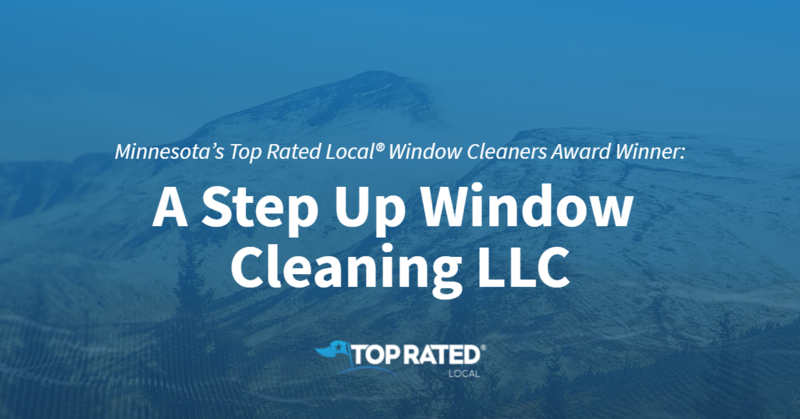 Congratulations to the team at A Step Up Window Cleaning LLC for being a 2019 Top Rated Local award winner, and thank you so much, Thomas, for taking the time to speak with us! We highly recommend A Step Up Window Cleaning LLC in Lakeville. Visit their website today! 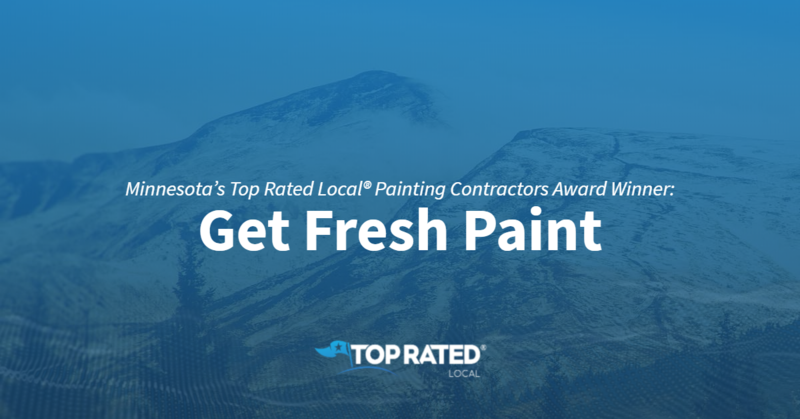 Top Rated Local® is pleased to announce that Eureka Window Cleaning is a 2019 award winner for window cleaners in Minnesota! When it comes to window cleaning, there’s no better company to turn to than Eureka Window Cleaning. Eureka Window Cleaning has received more than 125 reviews on multiple verified sites with an average rating of 4.65 stars, earning them a wonderful Rating Score™ of 91.52 and a 2019 Top Rated Local award for ranking among the top 10 window cleaners in all of Minnesota! Alex Fiorini, the owner of Eureka Window Cleaning, generously gave us a few minutes of his time to tell us about his award-winning business and its fantastic online reputation. The first question we had for Alex was what sets Eureka Window Cleaning apart from the many other window cleaning companies in Minnesota. Alex told us that they’ve been serving the good people of Minneapolis for two years and that they try to do things that their competition won’t do. We also wanted to know what their mission is at Eureka Window Cleaning. Alex shared with us that their goal is simply overall customer satisfaction. Alex attributes Eureka Window Cleaning’s strong online reputation to making their customers happy and making it easy for customers to get ahold of them. Outside of building a powerful online reputation, Alex has spread the word about Eureka Window Cleaning by handing out flyers and business cards all around. As the owner of such a successful business, Alex has a lot of knowledge when it comes to growing a business and building an online reputation. When we asked what advice he has for the many other business owners out there, he emphasized the importance of marketing your business and customer satisfaction. 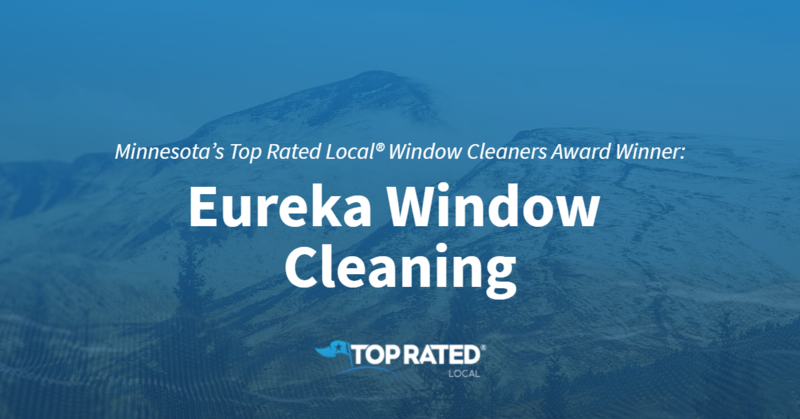 Congratulations to the team at Eureka Window Cleaning for being a 2019 Top Rated Local award winner, and thank you so much, Alex, for taking the time to speak with us! 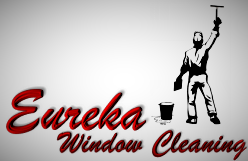 We highly recommend Eureka Window Cleaning in Minneapolis. 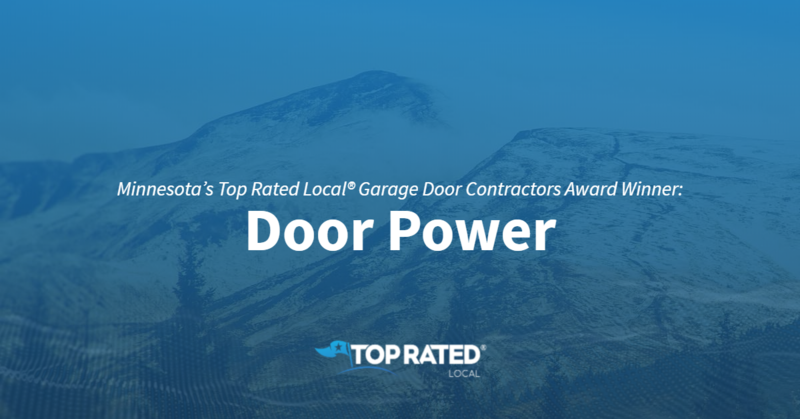 Top Rated Local® is pleased to announce that Door Power is a 2019 award winner for garage door contractors in Minnesota! From repair to new installation, the team at Door Power in Chaska has what it takes to meet your garage door service needs. Door Power has received hundreds of reviews on three verified sites with an average rating of 4.99 stars, earning them a phenomenal Rating Score™ of 95.87 and a 2019 Top Rated Local award for ranking among the top 10 garage door contractors in all of Minnesota! “I had a spring on my garage door snap the night before a huge snowfall was coming. Door Power was able to get me on their list for first thing in the morning. They came to the house and were very professional. [They] had the spring replaced within a half hour and were on their way. I thought they did a great job and would recommend them highly.” – A.U. Bill Gratz, the owner of Door Power, generously gave us a few minutes of his time to tell us about his award-winning business and its incredible online reputation. Bill attributes Door Power’s strong online reputation to their commitment to always doing the right thing, and he told us that he’s the one who answers the phone, which means he’s a very present business owner. Outside of building a powerful online reputation Door Power used to get their name out there through Yellow Pages, but these days, their focus is on generating word of mouth. 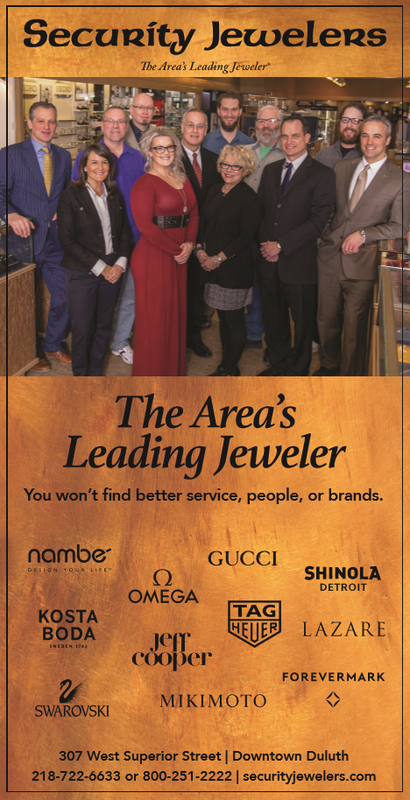 Congratulations to the team at Door Power for being a 2019 Top Rated Local award winner, and thank you so much, Bill, for taking the time to speak with us! We highly recommend Door Power in Chaska. Visit their website today! 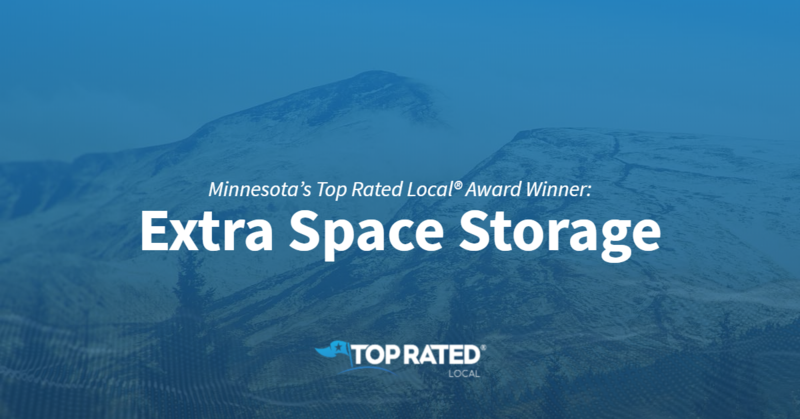 Top Rated Local® is pleased to announce that Extra Space Storage is a 2019 award winner in Minnesota! For all of your storage needs, turn to Extra Space Storage in Minnetonka. Extra Space Storage has received dozens of reviews with an average rating of 4.90 stars, earning them a spectacular Rating Score™ of 91.00 and a 2019 Top Rated Local award! “Extra Space is an amazing storage option! It’s SUPER clean, well-lit and [has] a wide range of size options! I’ve always hated storage places, because I have felt unsafe, but that is not the case here! The front desk manager was also so nice, informative and helpful. I highly recommend checking it out!” – Annie O. 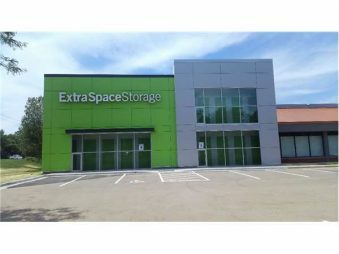 We wanted to learn a little more about this award-winning business and its impressive online reputation, so we took a few minutes to talk with Travis, the manager at Extra Space Storage. Travis went on to say that they are a net producer of energy and that they are going green as a company. Travis attributes Extra Space Storage’s strong online reputation to their customer service, to their clean, nice facility and to the fact that they always do what’s best for their customers. Outside of building a powerful online reputation, Extra Space Storage has spread the word about who they are and what they do through commercials and their website. 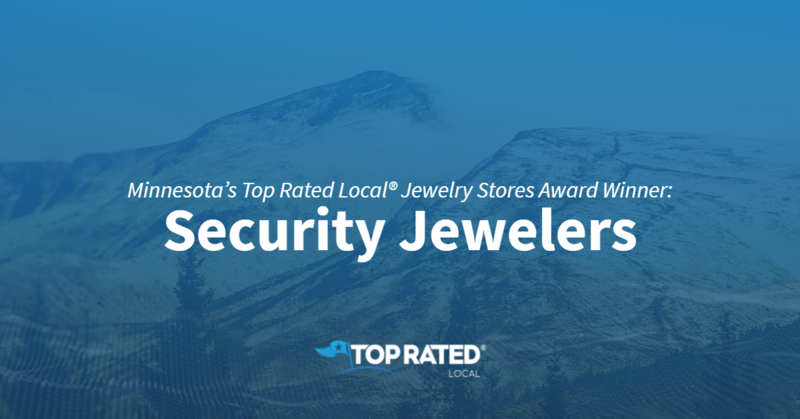 Congratulations to the team at Extra Space Storage for being a 2019 Top Rated Local award winner, and thank you so much, Travis, for taking the time to speak with us! We highly recommend Extra Space Storage in Minnetonka. Visit their website today!